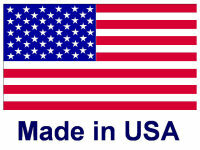 Compac Mayo Knife - Get more mayo for your money with the waste-eliminating mayo knife. 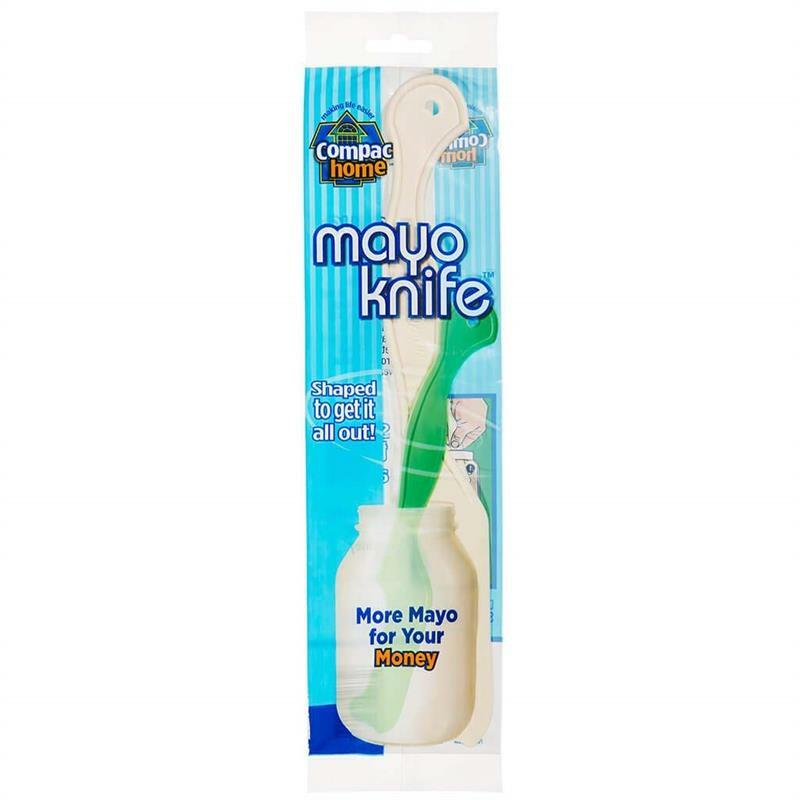 Get more mayo for your money with the waste-eliminating mayo knife. 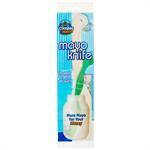 Compac's Mayo knife is a durable plastic knife expertly designed to scrape every last drop of mayonnaise from the jar. 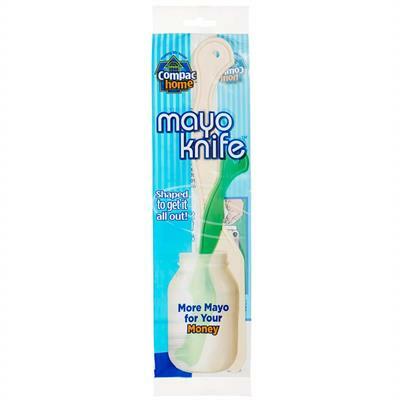 Mayo knife even doubles as a spatula to spread mayo evenly across the bread. There's enough mayo left in the jar for your turkey club, but getting it out will be a challenge, and there's a good chance you may end up wearing most of it, or having to dip your knife in again and again to get little dollops. 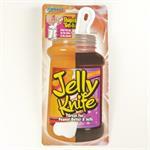 This is where the mayo knife comes in. 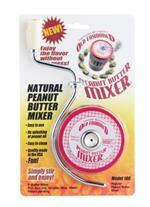 Specially designed to fit the contours of a mayonnaise jar and retrieve all that creamy spread, while keeping you clean.